Investing in a decent smartphone or tablet dock is the first step to making sure that your desk, bedside or coffee table isn’t an unbearable, chaotic mess of devices, cables and chargers. It’s possible to pick up a stand on the cheap, but usually they’re exactly that. Cheap. They tip over whenever you move another object, or dangle in the air whenever you lift your handset out of the dock. HiRise is a popular option for iPhone and iPad owners, but it’s modern in design and can look out-of-place in a home with older, traditional furniture. 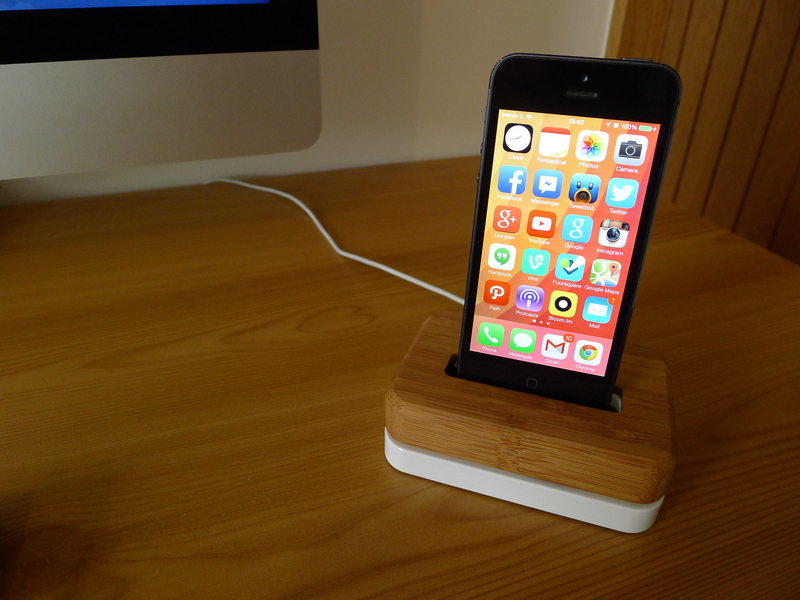 If you’re interested in a more rustic aesthetic we recommend the Grove Dock, a stand and charging combo for the Phone 4, 4S, 5, 5S and 5C. 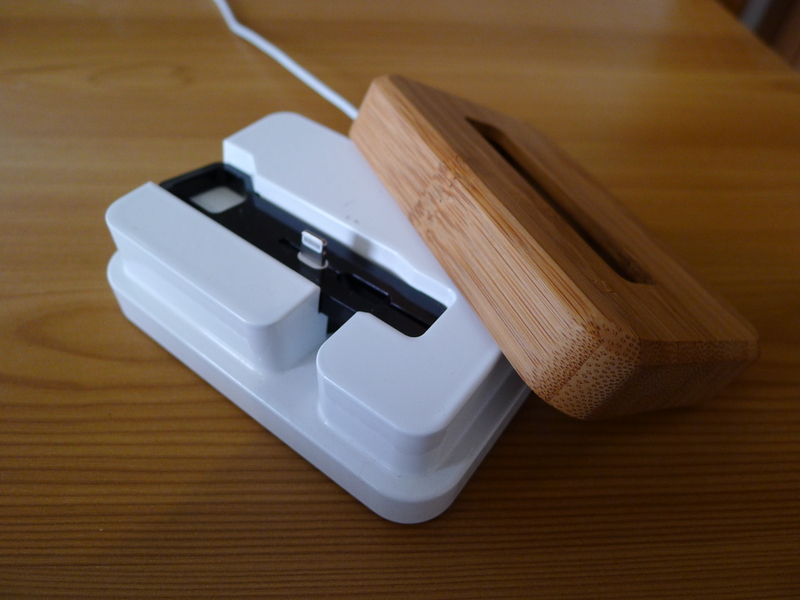 Grove specializes in smartphone, tablet and laptop accessories constructed predominantly from wood. The Grove Dock continues that trend with a two-piece design consisting of a bamboo top and solid steel base, the latter of which is available in either white, silver or black. It’s understated, but beautiful. I’ve had it sitting on my desk for a while now and whenever I need to reach for my iPhone, it still makes me stop for a moment and just admire the craftsmanship. 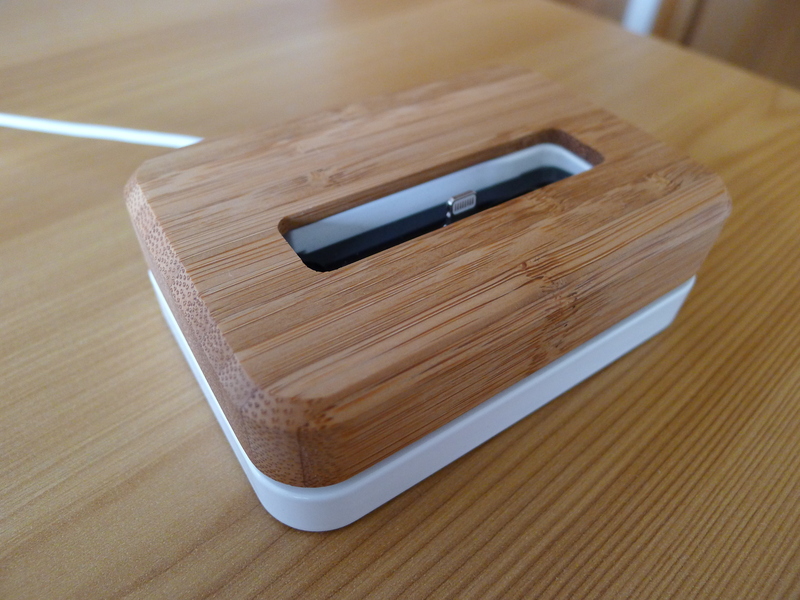 The bamboo is hand-sanded and it really shows in the quality of the upper shell. This isn’t faux-wood, or brittle to the point where it will break when you apply only the slightest bit of pressure. It’s quality stuff and built to last. The Grove Dock requires a small amount of assembly; you’ll need to feed your charging cable through the bottom of the base plate and secure it with one of two locking keys offered in the box. It takes a few minutes and doesn’t require any tools, unlike the HiRise. The stand weighs in at three pounds (1.3 kg), which is far heavier than most docking stations I’ve tried in the past. The ultra-dense construction, combined with four soft rubber bumpers on the bottom of the steel base means that you can always retrieve your iPhone with one hand; in all of my testing it never moved a millimeter on my desk. Not once. That sturdiness means that you can really put your trust in the Grove Dock. When your alarm goes off or an incoming call flashes across the screen, you can lunge across the room and know that it’ll stay put on almost any surface. The Grove Dock isn’t cheap though. This beautiful piece of kit will set you back $99, which is a lot of cash for an accessory that ultimately just makes your iPhone stand up nicely. For comparison, the HiRise costs $34.99, so you’ll need to think hard about whether the Grove Dock’s rock-solid (or bamboo-solid?) construction is worth that extra investment. It’s a fantastic stand, there’s no doubt about it – but I fear that the asking price will be too high for most people.